Porcelynne has had many directions over the years, from lingerie design to design school. 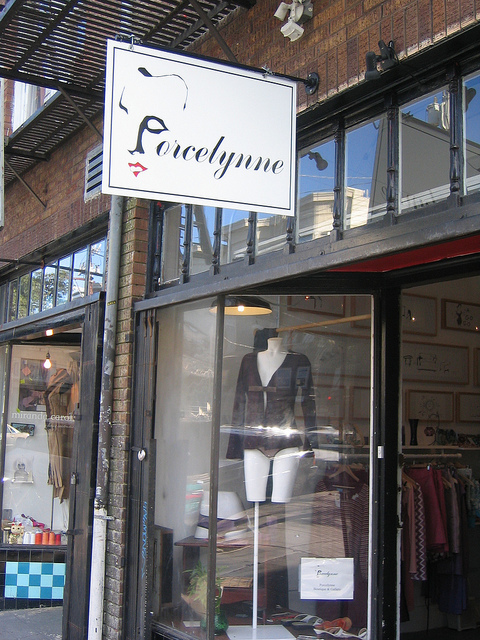 Porcelynne represents the work and labor of designer and proprietor, Jennifer Lynne Fairbanks. Jennifer is the one remaining constant through each business incarnation. Just as people evolve, so do businesses. Jennifer began her journey in 2002 when she first started her business in design. Over the years Jennifer has run multiple stores and has written numerous books. Jennifer's mission for Porcelynne is to provide supplies and education for the industry she started in, lingerie design. Here is a short video about what we do. I'm sure you've heard amazing stories about success after tragic failure. Well, that's not my story. I think my story is more fascinating, but then again, I have done everything and more that I had hoped to accomplish in life and I just turned 42! I began my design career at age 5 when I learned how to sew, made things and sold them at my lemonade stand. Fast forward 16 years. I move to NYC to attend the Fashion Institute of Technology and get my specialization in intimate apparel (or as everyone knows this: lingerie design). 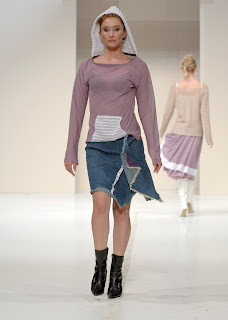 Below is my graduation fashion show piece photographed on one of the first digital cameras - no joke. It was 1999. I didn't even own a computer, let alone a cell phone. I worked at the absolute worse job in my life after graduation. It deeply traumatized me, that after only 2 days on the job, I left the industry. At the time, I had decided I never wanted to do design again. 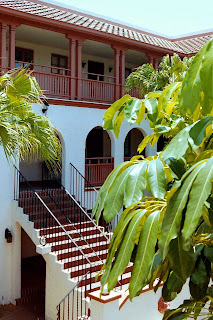 I moved back to Florida (where I grew up) and regrouped. I went back to school for graphic and web design and learned a little coding. I felt like I wanted to do design, but under my terms. 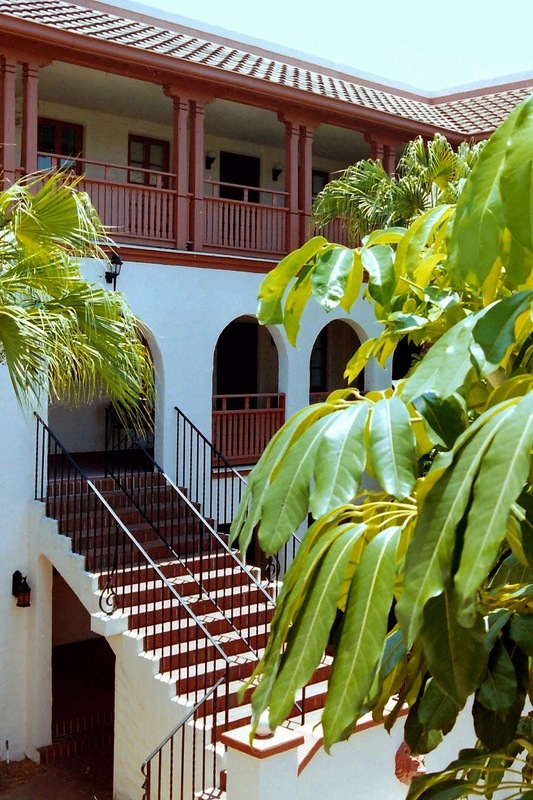 In the mean time, I lived in the coolest 2 story apartment with a spiral staircase inside. I still remember only paying $750 for rent. About 2 years later, I decided that moving to San Francisco would be best for my future. I pack up my car and two friends and take 3 weeks to drive across country for my big move. What an amazing experience it was to see the country as I did. Anyway, I moved to San Francisco without a place to live, a job or even knowing a single person. It was a great experience to start fresh. 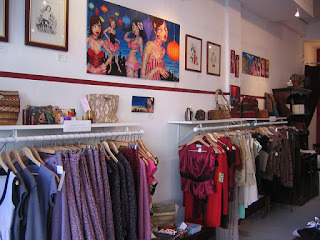 I started participating in local fashion events and soon found my mark in the SF design community. These Polaroids were from my first solo fashion show in San Francisco at DNA. Look how young and think I was in the second photo. I worked on building my portfolio and got to work with some amazing photographers. 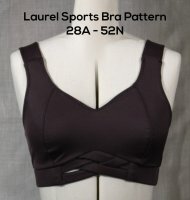 These are a few of the great photos created of my designs. 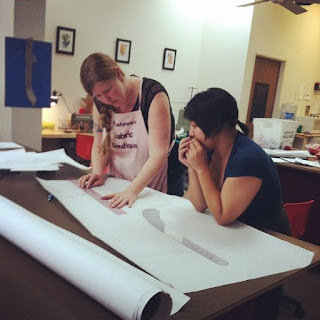 I started teaching pattern drafting, draping and sewing out of my garage and I launched my first business in San Francisco, Porcelynne Lingerie. Too bad I didn't know what I was doing, but I did learn by making every mistake in the book. It took a massive theft of my merchandise for me to sit down and realize that I was selling my masterpieces for less than what it took to make them. Duh! I became even more active in the design community by joining the Cloud Factory Design Collective. It was a bit of a partying group, but it was a chance for me to be experimental with design on the runway/stage. Here are a few shots from those events. That's me on the far right of the top photo with 3 of my closest friends at the time. Fast forward a year or two, I land a teaching position at FIDM in SF and love it. Shortly after beginning teaching, an opportunity crossed my path and I opened my first store. With that too, I had no idea of what I was doing. Lucky for me, my design business was actually doing well and I even found a local factory to make my goodies. I ran the money pit for a year and a half before I decide to turn it into a co-op. What a fabulous way to run a business. 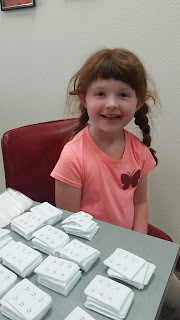 We had 12 people promoting and working the store and for the first time it was profitable. I was completely burnt out at this point. I was over the store, but none of my "partners" were interested in running it on their own, so I closed on the 2 year anniversary of opening. Then I had all sorts of free time I used it to write a book on how to start your own clothing line (by way of how not to start your own clothing line). 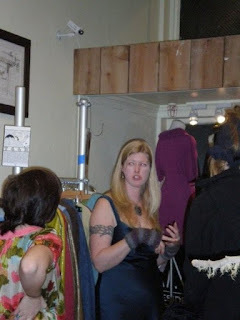 This was at my book release party at my best friends store Rag SF. 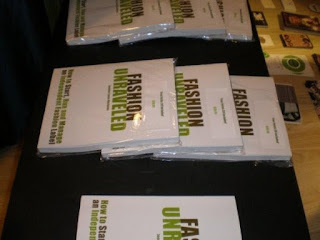 I was so active over the years in the San Francisco community, I was even able to secure a few slots in the San Francisco Fashion Week one year for the "Sweatfree Coalition." A group that was all about a sweatshop free fashion community. This was from my set it the show. It i literally impossible to share everything I did in San Francisco. About a year after closing my store, I decide that it was time to get serious about finding a husband so I could start my family. I moved to LA, met my husband about 6 months later and got married a year after we met. I taught full time for a year and a half at FIDM. I continued to write and mentor. 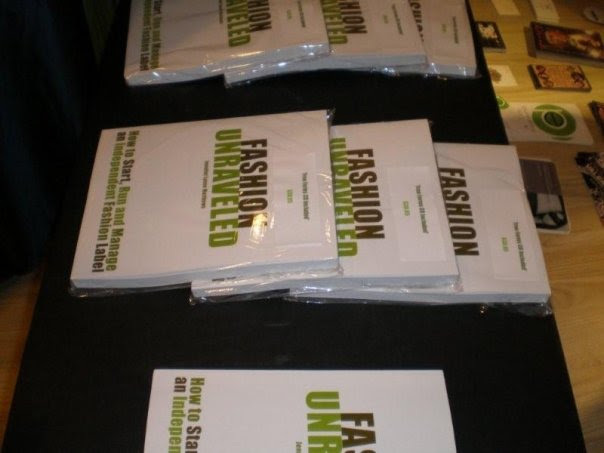 I wrote the second edition of Fashion Unraveled and Bare Essentials: Underwear. I was also recruited for lingerie design reality show. We shot the pilot and they shopped it around, but there were no takers. 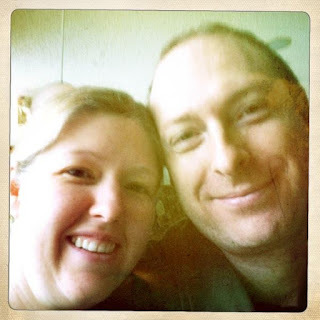 Six months after we got hitched, we bought a house in the mountains. A year after that, we had a beautiful baby girl. I went back to work to realize I don't want to go back to work and decided to open a fabric store. I felt the store was not enough, so I decided to start my own nonprofit design school. The nonprofit design school, while satisfying, became more of a financial burden than it would have been keeping it for-profit. My little girl grew up in this store. After operating the shop for 4 years, we make the drastic decision to move our family back to Florida. 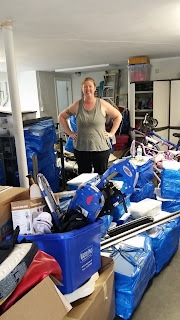 Moving a nonprofit across state lines was more hassle than benefit, so we closed up shop, leaving all desires to teach back in California. That brings us to our current day and time. We now live 2 blocks from my parents. I see my mom daily as she is my workout and walking partner. My daughter gets to bond with her cousin and her grandparents and I'm back to my million and a half projects. By the way, I started my current supply business online and by accident Well, that's another story for another day. Jennifer Lynne Matthews-Fairbanks studied at the Fashion Institute of Technology in NYC and graduated in 1999 with a specialization in intimate apparel. Over the years, Lynne has participated in numerous fashion events, won several awards and has been a mentor for many up and coming designers. Lynne has been instructing at the Fashion Institute of Design and Merchandising for the past seven years. 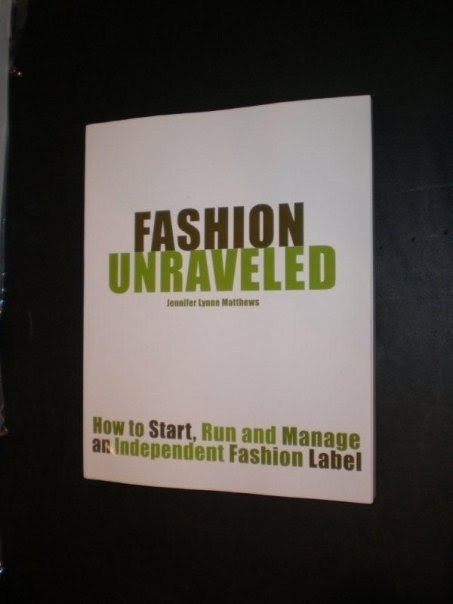 Jennifer's previous accomplishment was launching the publishing house Los Angeles Fashion Resource. She has authored multiple textbooks on entrepreneurship and lingerie design. David is our everything man. From photography to programming, he does it all. David has been working with us for the last year in helping us implement our program Business Unraveled. David attended Brooks Institute and received a degree in photography. Since then he has been working as a cinematographer and a jack of all trades in Hollywood. Tania Kac is our designer extraordinaire. Owner of the graphic design firm Designarchy, Tania has designed each of our book’s interiors and the layout of our website. Visit Designarchy‘s website for more information and make sure to tell her you found her here. Porcelynne Lingerie closed its doors in 2012 in preparation of the new endeavors launched by Jennifer Lynne. 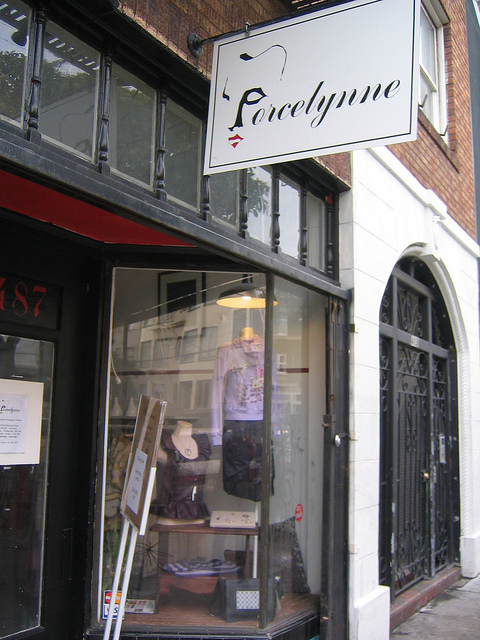 Porcelynne Lingerie was developed by designer Jennifer Lynne in 2000 as an escape from uncomfortable underwear. Their focus was on fit and with the combination of colors and fabrics, every piece was special. Porcelynne's philosophy in business was as important as was the fabric choices. All fabrics used were rescued from factory overflow and henceforth, have avoided ending up in a landfill. Porcelynne recycled all items from the studio and showroom floor. Fabric scraps were donated for re-use and all other material were recycled when possible. Porcelynne used limited resources in packaging and shipping. Items were not pre-packaged in plastic wrap, so there is less of a contribution to the environmental impact of plastic waste. Porcelynne employed contractors who were local to help maintain a balanced local economy and to recirculate the cash flow to those who were our neighbors. Porcelynne Designer Collective Boutique was a San Francisco based co-op in the Mission district. The Collective was home to 11 co-op designers and numerous other designers. 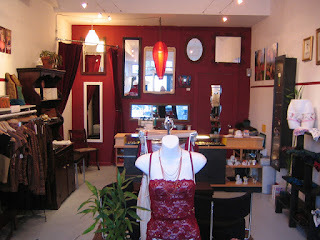 We closed its doors in February 2008 after 2 wonderful years in business. We would like to thank everyone who participated in our co-op as well as those who supported us. The Fabric Boutique was located in Redlands, California from 2013 to 2017. The Design Institute was operated in 2016 and 2017. Both businesses served to educate individuals in the art of fashion design. In the years of operation, Jennifer grew relationships with manufacturers of supplies and tools. She also grew her knowledge in the industry mentoring many students. After closing the physical location in 2017, Jennifer and family relocated to St. Petersburg, Florida and began operating her online shop as just Porcelynne.